I have a bunch of music submissions to hopefully get through and post before the month is out! 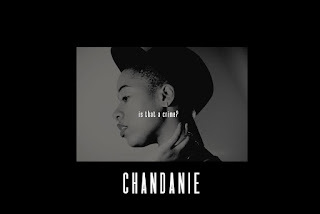 Right now, check out this cover of Van Hunt's "Down Here in Hell (With You)" from singer Chandenie! This cover is one of three songs on the singer's EP, is that a crime?, which was released on August 29th. "This project is an ode to counter-normativity, an introspective questioning of what is the ideal in romantic relationships, self-love, and beauty, addressed by each song, respectively," Chandenie said. You can check out the EP in full on BandCamp, and more of her music on SoundCloud. You can also follow her on Instagram!